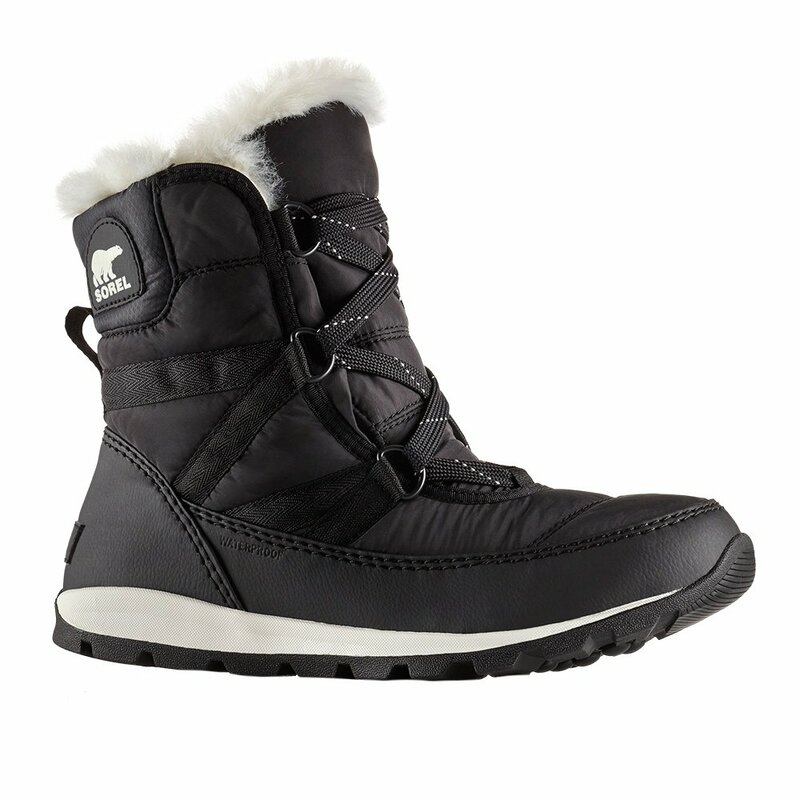 A soft, waterproof boot for winter days and nights, Sorel's Whitney™ Short Lace Boot is a super-cozy choice. The waterproof nylon upper is backed by a waterproof-breathable membrane and reinforced with PU-coated synthetic overlays. A faux fur cuff, microfleece lining, and 200g insulation combine for premium warmth rated down to -25° F. Even the removable footbed is covered in microfleece for added comfort. The molded rubber outsole takes care of holding the slick, cold ground below.